Thomas E. Baxter, 71, of DeKalb Junction died on October 11, 2016, at his home. Calling hours will be 1 – 3 PM, Thursday, October 13, 2016, the funeral service will be at 3 PM, at the funeral home, Pastor Martha Helmer officiating. Burial will follow in Hermon Cemetery. He is survived by his son, Michael and his wife Elizabeth “Liz” Baxter of Pennellville, sisters, Inez Snow of Hermon, Kathryn Huvinen of Washington, Susan Allen of DeKalb, a grandson, Brett Tayler of Waddington, several nieces and nephews. He was predeceased by brothers, Richard Baxter and Neadom Baxter. Tom was born on March 12, 1945 in Hermon, the son of the late William and Lucille Hickok Baxter. On May 15, 1965 he married Faye E. Perrin, she died on February 15, 1997. He owned and operated a dairy farm in Hermon. Tom enjoyed fairs. Tractor pull contests, making puzzles and always helped by giving people rides. 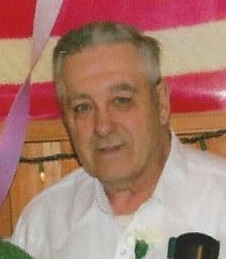 In lieu of flowers contributions can be made to the Hospice and Palliative Care of St. Lawrence Valley. Hubert L. Brothers, 74, of DeKalb Junction died on October 5, 2016, at the Canton Potsdam Hospital. Calling hours will be 5 – 8 PM, Monday, October 10, 2016, the funeral service will be at 3 PM, October 11th, at the funeral home, Licensed Minister Bob Smith officiating. A reception will follow the funeral service at the DeKalb Junction Volunteer Fire Department. He is survived by his wife, Georgia, sons, Wade and his wife Christina Brothers of Seneca Falls, Dennis and his wife Nina Brothers of Kansas City, Kansas, a daughter, Amy and her husband Robert Smith of Hermon, brothers, Nelson and his wife Judy Brothers of Saint Petersburg, FL, Rodney and his wife Mary Brothers of Virginia, a sister, Kathy and her husband Wayne Becraft of Florida, 11 grandchildren, 8 great grandchildren, several nieces and nephews. 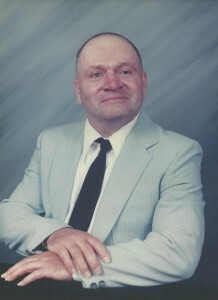 He was predeceased by siblings, Richard Brothers, Ed Brothers, Dennis Brothers, George Brothers, Donald Brothers, Joan Kennedy, Nancy Kinney, and Judy Nolfi. Hubert was born on April 2, 1942 in Norfolk, the son of the late Nelson and Dorcas Warner Brothers. He graduated from Potsdam Central School in 1962, and TCI in Connecticut, On March 26, 1966 he married Georgia Moulton at the United Methodist Church in Madrid. He owned and operated a dairy farm in DeKalb, he was a truck driver for the Town of Madrid Highway Department, he was a diesel mechanic and did mechanic work for everyone. Hubert was a member of the Richville Home Fellowship Church, Kendrew Grange 891, National Grange and a board member for the Soil and Water District. He enjoyed tinkering, fixing things, being a mechanic and collecting John Deere memorabilia. In lieu of flowers contributions can be made to the Richville Home Fellowship Church, 168 Jenkins Road, Richville, New York, 13681 or Kendrew Grange Hall 891, c/o Richard Simmons, 129 Childs Road, Rensselaer Falls, New York, 13680.